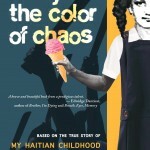 M.J. Fievre’s memoir A Sky the Color of Chaos (Beating Windward Press, 2015) chronicles Fievre’s childhood during the turbulent rise and fall of Haiti’s President-Priest, Jean-Bertrand Aristide—a time of nightly shootings, home invasions, robberies, and the burning of former regime members in neighborhood streets. During the late 1980s and 90s, from when Fievre was eight-years-old to 18, Haiti’s government changed forms eight times; the Haitian people endured fraudulent elections, three military coups, a crippling embargo, and a United Nations occupation. A Sky the Color of Chaos will be featured at the Miami Book Fair International on Nov. 21. In connection to the release of the book, Fievre had a conversation with writer Jan Becker. They addressed some of the themes explored in the book, including domestic violence, father-daughter relationship, and PTSD. Jan Becker: I’m glad you wanted to talk memoir with me, but my mom wasn’t thrilled about the last interview I did with you! I hit a rough patch last summer over coming out publicly at a reading as a child sexual abuse survivor, but like Anne Lamott said, “You own everything that happened to you. Tell your stories. If people wanted you to write warmly about them, they should have behaved better.” I don’t know that I can write about anything else right now. I’m working on a book of personal essays. So it’s close to memoir, but more manageable. And really, the way the PTSD operates in my brain, essays make more sense, because nothing is linear. I’m playing a lot with lyric form, because it feels closest to memory. M.J. Fievre: Although I agree with Anne Lamott, I must point out that I took the easy way out by adding the disclaimer “based on a true story” on the cover of A Sky the Color of Chaos. It was a difficult choice, but owning up to the veracity of my story was not as important as not putting a strain on my relationship with my family. In the memoir, the social and political upheaval merely serves as the background for the more personal drama playing out inside my own home. My brooding father rapidly oscillates between exuberant optimism and cynical pessimism. While loving and affectionate, he demands respect and often enforces his will with violence. I am simultaneously drawn to him and fearful of him. After he died, my father was canonized by many members of the tribe. Therefore, my family, for the most part, is against the release of the book. My mom and my sisters are not planning to read my work. So it’s not that I think everything in This Boy’s Life, for instance, really happened to Tobias Wolf—in that sequence, with that great plot. Or to Mary Karr in The Liar’s Club. I decided to use the words “based on” because they allow people I love enough wriggle room so they can deny, if they will, that some of the things in the book are factual. I merged all my sisters into one to protect their privacy, and I’ve changed everybody’s names. JB: People are complicated. Each of us can experience the same person differently than one another—at least that’s the case with my stepfather and my family. I’ve had similar experiences with the “canonization” you mentioned. It really hit me this Valentine’s Day, which is my stepfather’s birthday. There were dozens of positive messages on Facebook from people missing him now that he’s dead. I call them “The Cult of Saint Dad.” I’ve had to accept that my relationship with my stepfather was very different than anyone else’s in my family. It’s a hard place to be in sometimes, especially when so many other people think of him as this larger-than-life benevolent man who is very different than the person I remember. I think you need to do what is right for you, and if calling it fiction makes it easier for you to get through having such a personal story published, you should know you are in good company. One of my favorite authors writes fictionalized memoir: Dorothy Allison. I love her. I don’t doubt the truth in any of her words. But she feels more comfortable marketing it as fiction. Maybe you can look at fictionalized memoir as a hybrid genre without all the concerns of plot and narrative arc we expect in fiction? The thing is, MJ, you create dangerously and that can intimidate people who are comfortable with keeping painful stories silent. Edwidge Danticat’s Create Dangerously: The Immigrant Artist at Work really changed the way I think about the world. MJF: I should be more excited about the release, but I have mixed feelings about A Sky the Color of Darkness. My father’s hot-blooded nature and unpredictable moods amplified my fevered need to escape a homeland where random violence and bloodshed were commonplace. I can’t help but feel that I’m betraying my dad by exposing his own warped side to a world that saw him as a community leader. More importantly: the memoir was supposed to be a catharsis, but who am I kidding? I’m still very angry at the universe for the violence that surrounded my childhood, and although writing helped a little bit, it didn’t help much. While I was editing the memoir, I read Sartre’s Nausea twice because I could definitely relate to his theories of existential angst, and the anxious search for meaning in all the things that had filled and fulfilled my life up to that point—particularly writing. I liked the link established by Sartre between meaning and commitment. I’d made writing the center of my life, because I believed only writing could save me by providing me with purpose. But I wondered: Was that commitment paying off? Had writing this book made my existence any more meaningful? So, tell me what you think, Jan: writing as catharsis: fact or fiction? JB: I think your choice of words is an apt one. “Catharsis” comes from the Greek, κάθαρσις, which has connotations of cleansing and purifying, and was mainly used in the medical sense by Aristotle prior to Poetics. For example, purging an infection of pus and debris is a process of catharsis, as is shedding menstrual blood. Aristotle never really defined it as it applies to drama (he was writing about Greek drama; I’m applying this to memoir). I agree with Aristotle; there can be a catharsis that occurs in writing. I don’t think it’s always pleasant. Pus and debris are not pleasant. Menstrual cycles are not pleasant, no matter what the goddess-worship-power-moon-womyn say. I don’t walk away from a hard piece of writing thinking, “I feel so cleansed and pure.” I usually get very cranky and collapse for at least a day if I’ve done the sort of writing that leads to catharsis. I like to write very silly things as often as I can, but that’s a little different than the kind of writing that is cathartic. Sometimes when I’m done writing memoir, I feel worse than when I started. I have files on my computer I can’t even open, because just looking at them makes me break out in hives. It’s a gradual process. You have to clean a serious wound more than once to get rid of an infection. Aristotle was also looking at catharsis as a positive social function that involved the audience of Greek dramas, so maybe the catharsis comes for the writer when it reaches an audience. Before then, it can be hell. Sometimes afterwards, too. I don’t write because it makes me feel any better. I write because I have a compulsion, but maybe it’s a natural instinct to seek purification and cleansing? Here’s my question to you. What do you most hope your readers take away from reading your book when they’ve finished the last page? I did think about my audience then. I thought about the plastic world in which we live, made out of illusions and pretenses. It’s all about what appears to be. And I think my book makes a point: hurt, suffering can often be hidden behind an apparently genuine smile. Behind the varnish: so much pain and fear and cynicism. People who meet me often talk about my smile (oh, how happy I appear to be!). They have no idea where I come from. I guess I want the book to speak to those who suffer in silence—whatever kind of suffering it is. Also, I want readers to discover the Haiti that is not often presented to the world: the Haiti that is neither dirt-poor nor immersed in corruption: the Haiti in the middle. My family was not involved in politics and we, financially, did well for ourselves; our story still matters. Do you think that all stories matter—or are there stories not worth being told? JB: I don’t have an easy answer. I remember one of the first things I said to you when we were taking Dan Wakefield’s memoir class at Florida International University was that I was happy you were writing a memoir about your childhood in Haiti. I don’t think the average American knows much about Haiti. I didn’t get hold of a book by a Haitian author (Danticat’s The Farming of Bones) until I was in my 30s. The middle is a good place to be in terms of storytelling. It gives you a vantage point a little more removed than someone in one of the more extreme positions of power or poverty in Haiti. I think that’s an important viewpoint to consider. I just this morning read a blog entry from Katia D. Ulysse, whom I adore, about the expatriation of Dominican-born people of Haitian descent, called “Haiti’s Long Lost Children.” She starts by writing, “I look forward to a day when all of us can write different stories about Haiti.” Maybe you are working towards that? I do believe all stories matter, because I have been told so many times that I shouldn’t write my story. Let’s forget about the writer for a moment and think of the impact a difficult narrative can have on the reader. I picked up Maya Angelou’s I Know Why the Caged Bird Sings when I was about nine years old, and it likely saved my life, because up until then, I didn’t understand that other girls had experienced the same kind of sexual abuse I was going through. Many things fell into place for me. Angelou’s book also helped me understand that any suffering I was experiencing at nine years old was not going to last forever. I’d survive it. And I did. Haitians. Part of me wishes it had never been written, but another part of me sees a god-awful book like that as a historical artifact we can look back to now to see where the world went mad. How the world is still going mad. The horrible decision to deport people from the Dominican Republic today has a history we should have learned from a long time ago. Instead, we’re seeing the same bias and dehumanization occurring right now. In 2015. I also believe that we are closely connected on this little blue marble, and that if one story goes untold, then part of who we are disappears from history. I want the whole range of stories, not just a certain demographic —even if that range comes with danger that someone could do something violent like the murder of nine people this year in Charleston at the Mother Emmanuel Church. I mentioned Angelou’s memoir as one that gave me a better understanding of the world and my own situation. I’d wager you similarly were impacted by reading as a child. Which writers would you say changed your life? How? MJF: As a child, I mostly read fiction. Reading was an escape from reality—the more removed a story from my own reality, the more satisfactory it was. I read a lot of mystery and horror stories. Whenever night terrors kept me awake, I lost myself in Les Aventures de Tintin by Belgian cartoonist Georges Remi, who wrote under the pen name Hergé. The main character, Tintin, is a young reporter who becomes involved in dangerous cases in which he takes heroic action to save the day. I loved Nancy Drew because, when you live in an unstable environment, there is comfort in a predictable plot. There is also comfort, not surprisingly, in stories so dark they make your own universe seem more manageable: I enjoyed the frightening tales collected by Alfred Hitchcock, those written by R.L. Stine for the Goosebumps series, and the Tales from the Crypt horror comics that had made it, somehow, to Port-au-Prince and could be found at La Brocante, an exchange book store. I was delighted when Tales from the Crypt was later adapted for television, and I also couldn’t get enough of movies adapted from Stephen King’s work. In fact, Pet Sematary remains one of my favorite horror movies. I couldn’t stand romance novels—Harlequin or Barbara Cartland. Even to this day, watching a romantic comedy is torture, unless there’s exceptional characterization and irony, like in the case of What’s Up Doc, starring Barbra Streisand and Ryan O’Neal. When I started writing, I naturally gravitated toward horror. My books in French are all horror stories, except for Les Fantasmes de Sophie, an erotica novel I wrote because of a dare. It wasn’t until college that I started reading more realistic fiction, particularly Anton Chekhov and Victor Hugo, first in med school (which I quit after two years because my class load did not allow time for leisure reading nor for writing) and later while at Barry University, in Miami Shores. In graduate school, thanks to Denise Duhamel, I fell in love with poetry and the power of images. So much ugliness in this world—I could take a painful story and craft it into a thing of beauty. Later, still at FIU, I took Wakefield’s memoir class and discovered nonfiction writers Tobias Wolfe, Alexandra Fuller, Mary Karr, and Alison Smith. Don’t Let’s Go to the Dogs Tonight, by Alexandra Fuller, reminded me so much of my middle-class life in Haiti that I read it three times that semester. I realized that I had a story worth telling! As I wrote true stories for Dan, I cried a lot. I cried of relief because my pain finally mattered: I could make something come out of it. I also cried because I became sleepless. Engaging in this kind of writing made me vulnerable to PTSD. I became an insomniac haunted by violent memories from childhood. 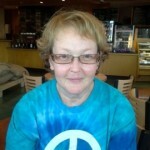 Tell me about your own experience with PTSD, Jan.
JB: I grew up with PTSD in my home. Both of my parents had it, so it was familiar to me, but sort of like something someone else had, not my monkey. Definitely not my zoo. Then, my stepfather died the year I turned 30, and over the next few months, I started recovering what the shrinks call “traumatic amnesia.” I put that in quotes, because it’s not like the classic amnesia where someone completely forgets. I could always remember that I’d been sexually abused as a kid, but I was detached from it emotionally, and I’d repressed quite a lot of what happened. When my stepfather died, it became safe to start to process the impact that the abuse had on me, and I started reliving everything all at once. It got to the point where I had to quit my day job because I was off in this weird world of memory. It’s extremely difficult to describe what that was like. Fortunately, I was living with a quadriplegic friend, Michael, who needed someone to help with his personal care in exchange for room and board. He’d been an affirmative action counselor and a disability advocate and understood what was happening to me. I had no clue. After about a year of me deteriorating, Michael finally said, “Look, you need to get some help, or I’m going to call for the men in the white coats to come take you to the hospital.” And he found me a low-cost counseling center with a therapist who specialized in treating survivors of childhood sexual abuse. He was correct: it took eight years to get my head on straighter. It was the hardest eight years of my life, maybe even harder than when I was living through the abuse. As a kid, I could separate from what was happening to me. As an adult, I not only had to process what I’d gone through, and feel the hurt, I also had to learn how to function on a daily basis. Like you, I was having terrible insomnia, and nightmares, headaches, and so many flashbacks. About half my time in therapy was focused on learning to contain the memories so they were manageable. I have a visualization exercise where I gather the most difficult memories together, and hike them to the top of a tall mountain. There, at the summit, I have a treasure box with a strong lock, and I open the box and store the memories until I’m ready to deal with them. When I first sit down to write, I often go up the side of the mountain and mentally unlock the box and pull out a memory before I start writing. I also learned PTSD is not something that ever goes away. It’s something that I can manage much better now, but it’s always there. It takes work, but it gets better. It’s a challenge to write about anything painful. I can easily push myself too hard while I’m writing, and then get smacked up in my head with this onslaught of emotion and memory I need to take to the mountain top. Writing helps me with PTSD. The rough drafts are shockingly raw sometimes, but as I revise, I become more resolved with what happened, until at the final draft, it’s like pulling the bandage off the wound and finding a nice firm scar. What kind of coping mechanisms do you have that get you through the hard writing? I’m asking because I still have almost a full manuscript of rough drafts to go through, and I can use as many tricks as I can find. MJF: I write and edit nonfiction in spurts, which makes it easier to deal with the “difficult” writing. I’ll spend 30 minutes or so on the manuscript, and then read an issue of The Flash (I just started the Darkseid War) or a short story by Mark Brazaitis, Anton Chekhov, or Tananarive Due. I’ll go back to the text for an hour and then play Assassins Creed or Mortal Kombat on my Xbox, or watch half an episode of Supernatural on Amazon. I need the frequent distraction. When dealing with memoir, I can’t have it any other way. That probably contributed to the fact that it took me eight years to finish A Sky the Color of Chaos. With fiction, it’s different. Last April, as the writer-in-residence at The Besty Hotel on South Beach, I sometimes spent eight hours writing without a break. I’ve had people question the validity of the pain I still carry around. (“You think you’ve had a difficult childhood? Let me tell you a story…”) Reading your stories, Jan, and reminiscing on my own upbringing, I was tempted to think about a trauma spectrum, some kind of scale that allows for childhood painful experiences to be rated, based on the lasting consequences. Sexual abuse, physical abuse, emotional abuse—is all hurt created equal? Turns out there is an official Davidson Trauma Scale (DTS) for PTSD. In most cases, sexual abuse will have more dire consequences than, let’s say, emotional abuse that doesn’t come with physical hurt. In the end, however, all forms of abuse are messy, and their impact only measurable to a certain point. Healing takes time, and determination, and love. 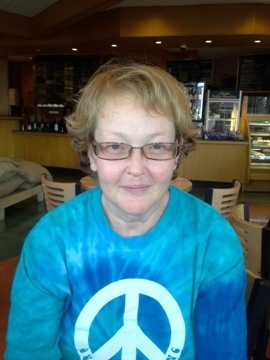 Your stories as a survivor, Jan, will help many others who are still suffering in silence. Whatever the kind of hurt we’re writing about, if our stories can help anyone deal with their nightmares, the writing is not all in vain. JB: I don’t like to think too heavily on the idea of comparative misery, because it’s just not practical. To take a turn on what Dr. King said about injustice, if anyone is suffering anywhere, then collectively, I think we’re all hurt and need to react with compassion. In Silences, Tillie Olsen defined a survivor as someone who must bear witness where others have foundered. I think the best thing anyone with an awareness of the world and a testimony of suffering can do is politely, but firmly refuse to stay silent. JAN BECKER is an MFA candidate at Florida International University. Her writing has appeared or is forthcoming in Sliver of Stone, The Florida Book Review, The Circus Book, Emerge, and Colorado Review. 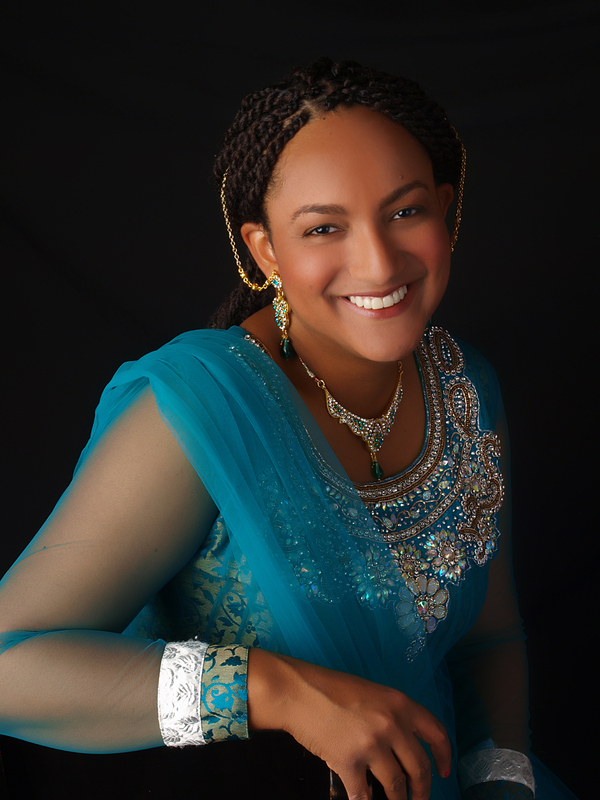 In 2015, she won an AWP Intro Journals Project Award in nonfiction. She is the 2015-2016 Writer-in-residence at Girls’ Club in Fort Lauderdale, an alternative exhibition space that focuses on contemporary art by women. 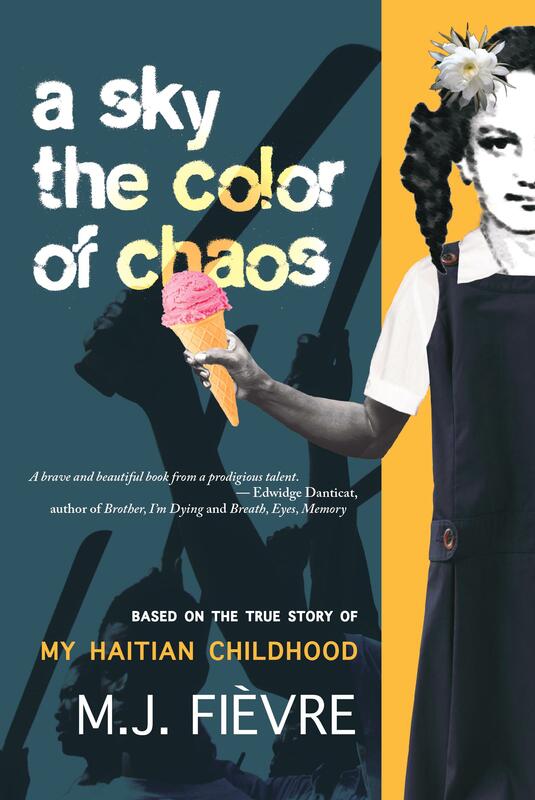 Born in Port-au-Prince, Haiti, M.J. FIEVRE is the author of A Sky the Color of Chaos (Beating Winward, 2015). M.J. holds a Bachelor’s Degree in Education from Barry University and an MFA from the Creative Writing program at Florida International University. She is currently a professor at Miami Dade College.